Kelly Slater is an American sporting icon, having been crowned World Surf League Champion a record 11 times, among other accomplishments. But lately, the Florida-born athlete has been on an altruistic mission to improve the planet via a visionary clothing company called Outerknown, whose motto is “where style meets sustainability.” Under the auspices of Outerknown, Slater has now collaborated with Breitling on a limited edition version of their retro-cool Superocean chronograph, marking Breitling’s first foray into the world of recycled materials. 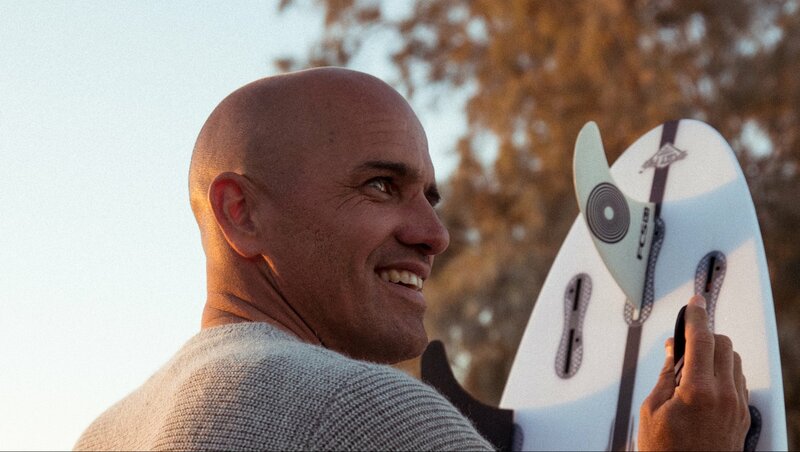 Breitling and Kelly Slater and working together in an effort to make the world a better place. Alongside the help of another company called Outerknown, Breitling and Kelly Slater made a special something to help out their efforts. Hint, it isn’t a large Breitling watch. Not in the watch itself, but the Superocean Heritage II Chronograph 44 Outerknown comes on an ECONYL yarn NATO strap made from salvaged, recycled nylon waste such as old fishing nets, highlighting Slater and Outerknown’s commitment to cleaning up the world’s oceans. Not perhaps something that will cause a revolution in the watchmaking world but an important step nonetheless; recycled NATOs could well become a hot ticket item should some enterprising entrepreneur figure out how to make and market them properly, especially if Slater endorses the project. The Superocean Heritage II Chronograph 44 Outerknown features a DLC-coated stainless-steel 44mm case, a dark ocean blue dial, an ultra-hard scratch-and shock-resistant unidirectional ceramic bezel with a luminescent central dot at the 12 o’clock position, and a caseback engraved with the Outerknown logo. The Super-LumiNova coating on the dot and the hour and minute hands also emit a blue light instead of the standard green. Water resistant to 660 ft., the limited edition pieces are priced at $7,100 apiece. More of a dive than a surf watch but pretty cool nonetheless. Here is a quick video from Breitling and Slater.